Off Grid living is becoming the latest travel craze as companies around the world are building and renting small eco-friendly and environmentally sustainable vacation shelters. These off the grid alternatives give people the opportunity to be one with nature, instead of being crammed into another urban-style hotel. These off-grid vacation spots give those who are thinking about converting to the lifestyle a small taste of what they can expect if they go full-time. 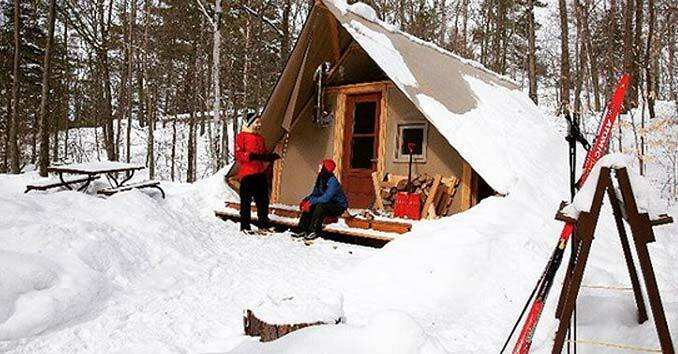 While looking for Off The Grid Shelters I came across this cool off-grid, four-season tent. The tent is based off a prospector tent-style design and is actually a rental unit at the Philippe Lake Campgrounds in Gatineau Park in Canada. The Four-Season 15 x 18 feet tent uses two layers of weather-proof canvas stretched over a wooden frame. It’s heated with a wood stove and has an outdoor grill for cooking. It has a small solar panel to power the cabins LED Light. The tent is divided into 4 different areas and has a dining room, kitchen, sleeping area, and woodstove/living room. 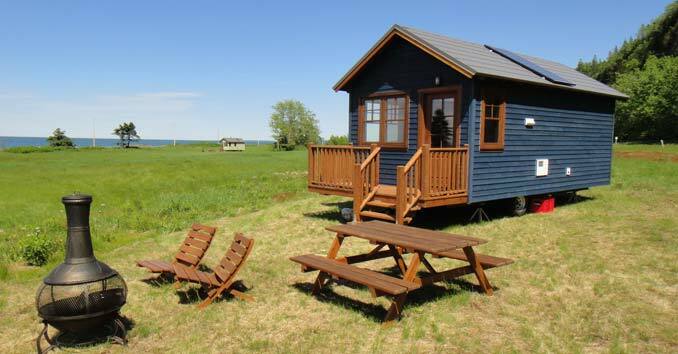 Domaine Floravie in Rimouski, Québec rents out Tiny Home Cabins on the St. Lawrence River. The Tiny Cabins feature solar powered lighting and refrigeration along with a propane tank that powers the stove, heating, and the water heater. 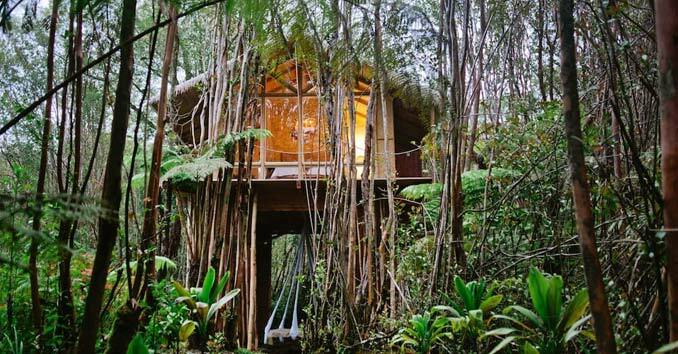 For those looking for something more permanent, check out this Hawaiian Treehouse in Fern Forest, Hawaii. 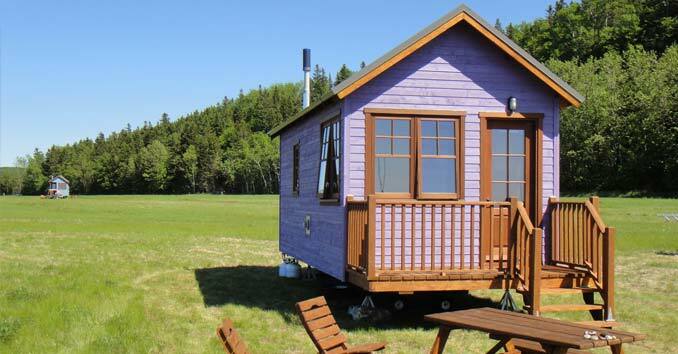 Tiny Home enthusiast Kristie Wolfe built it for around $11,000 and placed it on the land she purchased for $8,000. The water comes from a catchment system that collects rain falling on the roof and power is provided via solar panels and batteries. Here is a video of Karen explaining how she got into tiny homes, and what it took to build this treehouse paradise. Love the one in Hawaii it’s always been a dream to build something like that, never realized it could be done for so little money. I appreciate this woman sense of being with nature. Well done.